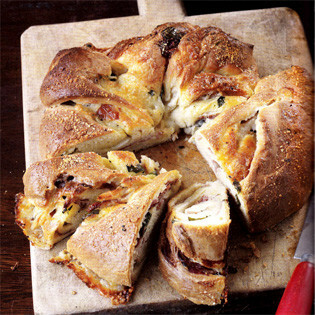 Here I’ve adapted the more familiar sweet couronne, or crown, to make a savoury version that bursts with oozy cheese, Parma ham and fragrant basil. 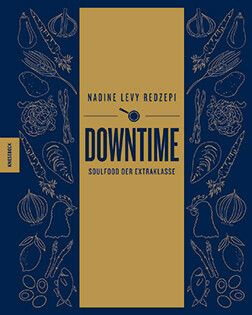 It’s a meal in itself when served alongside a good salad and makes a stunning centrepiece on the table. You can make the dough by hand if you prefer, but as it’s a soft butter-rich brioche dough it is much easier to use a food mixer. Take your time over twisting it into shape – think about the end result and remember the filling is supposed to burst out. 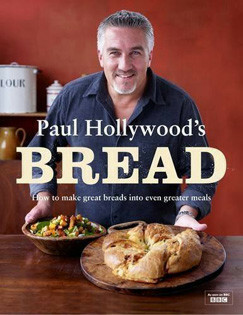 "Rezept von Paul Hollywood: Savoury Brioche Couronne"